Flaxseed Oil is one of the premium sources of Alpha Linolenic Acid (Omega 3), an essential fatty acid that can't be made by the body and must be obtained from diet. 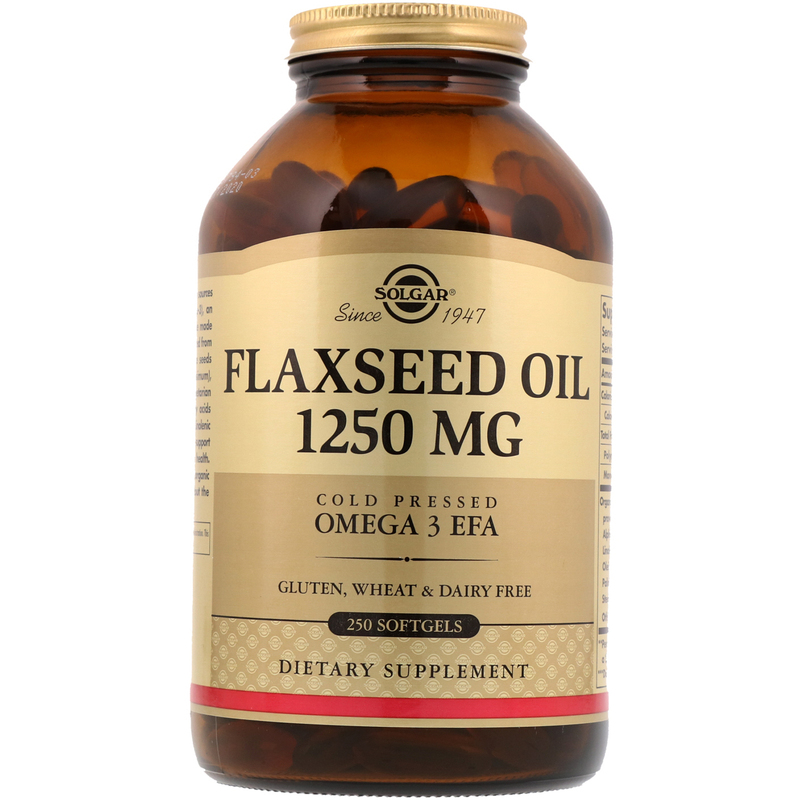 The oil is derived from the seeds of the Flax plant (Linum usitatissimum), one of the most concentrated vegetarian plant source of Omega-3 fatty acids found in nature. 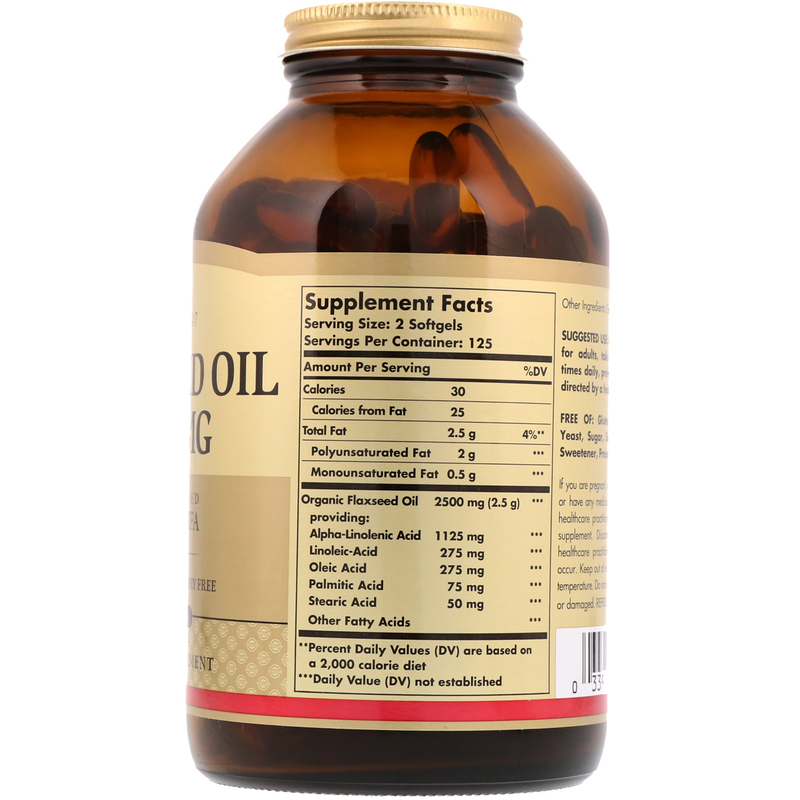 Studies indicate flaxseed oil helps to promote cardiovascular, immune and skin health. This formulation offers premium, organic flaxseed oil, cold pressed without the use of chemical solvents. As a dietary supplement for adults, take two (2) softgels four times daily, preferably at mealtimes, or as directed by a healthcare practitioner. Organic flaxseed oil, gelatin, vegetable glycerin. If you are pregnant, nursing, taking any medication or have a medical condition, please consult your healthcare practitioner before taking any dietary supplement. Keep out of reach of children. Do not use if outer bottle seal is missing, torn or damaged in any way. Refrigerate after opening.